Everyone loves to experience those cheery yellow flowers in their lawn in spring – yah, right! Well they definitely have great qualities. You may find them beneficial to your physical and financial health – amazing way to fight the high cost of fresh veggies. Following is an article on the nutritional benefits of dandelions. Here is another more in depth article – just makes you want to get out there and pick dandelions! All these nutrients are stored up in the flower buds as well. If this is your preferred method of eating them. I like pickled flowers and flower buds – delicious! Mother nature is a treasure trove of goodies. We need to educate ourselves, try a few ideas and get the benefits. Some of my ideas have ended up in the compost pit, so don’t be reticent to try yours! PS Just enjoying my first ever cup of dandelion flower tea. Very pleasant!! Identifying, harvesting and preparing wild foods is a fun and money saving adventure. During the cold, dark winter months, I pour over my edible plant guide. Looking for insights and knowledge. The internet offers a plethora of images to heighten your skills of identification, and articles to wet your appetite for herbal cuisine. After the long winter, spring is a great time to get outside, breath the fresh air and harvest wild foods. Wild mustard is an early spring favorite. The cluster of small, white flowers is easily identifiable, along with its peppery aroma when crushed between the fingers. Wild mustard is a peppery, pleasant tasting herb. Great for fresh salads, on sandwiches and in stir fries. It has many excellent health benefits, also. See the following link. Mustard greens can be successfully frozen for use in stir fries at a later time. Wild mustard comes in many different shapes, sizes and flower colors. Good luck and happy hunting!! If in doubt, leave it out(side)!! Generally speaking, eating flower buds is something I enjoy. 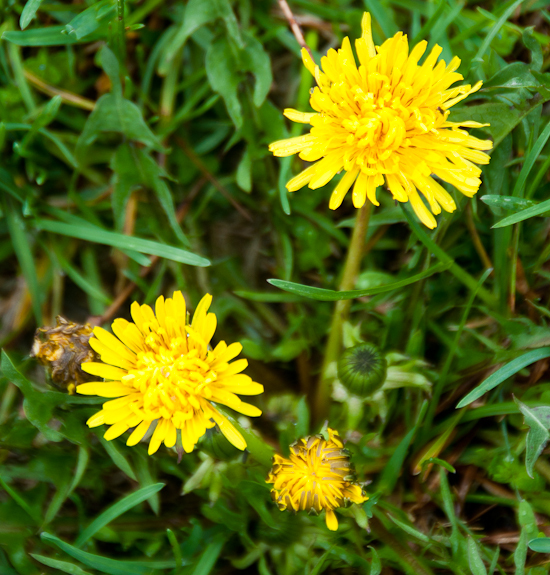 Our favorite flower, the dandelion, offers a tasty, nutritionally sound spring tonic. More on this next time. Tim, keeping it healthy – physically and financially!! Follow this link and decide for yourself!! This weekends meeting on maternal and child health concluded that women need access to birth control. Not forced but family planning. This is a noteworthy recommendation. All such suggestions come with the assumption that people can afford such interventions – as provided by the “western” medical establishment. Unfortunately, most cannot. Money does not largely exist to research low or no cost plant based methods of, in this case, birth control. In Indonesia, many women eat green papaya fruits for birth control. These fruits contain progesterone blocking substances. The quantity of such phtyo-substances varies from fruit to fruit and region to region. So putting a neat recommendation of dosage on such remedies is difficult. Suffice to say that eating papaya products in general is very safe. Perhaps this is an area where significant resources should be placed if there is real interest in maternal health – rather than profits. The internet is flooded with papaya based studies on a variety of topics, so feast yourself!! Short term missions and, yes, diarrhea!! Most missionary and many adventurous travelers have had a bout of Montezuma’s revenge, otherwise known as dysentery, diarrhea, the scoots, Aztec two step, Basra belly, Rangoon runs, Tokyo trots, you get the idea! It is my contention that this misfortune is largely avoidable. Which is good news unless you enjoy trotting! Conventional prophylaxis include DUKORAL (registered trademark)and Pepto Bismal (see warnings) while treatment includes peristaltic inhibitors like Immodium. These are all options for prevention and/or treatment. Different body types seem to tolerate discomfort at varying levels. I have a type A body – a little tense at the best of times. So cramping does not suit me at all. During my many missions trips, I have discovered plant based treatment options. Ideal for me, being financially judicial, and the citizenry of many developing nations who have economic constraints. Working through and with a group called Action for Natural Medicine, anamed, www.anamed.org,I have discovered that eating of a 2 inch square piece of papaya leaf every day reduces the chances of acquiring the runs. Also, regularly drinking papaya tea provides the same active ingredient. Papaya trees are very common and easy to grow in the tropical climate. They produce prodigious amounts of greenery (leaves) and thus provide lots of doses of medicine per hectare. The leaves are also a good treatment for malaria, which is a topic for another day. The reason for this blog post is to determine if there is sufficient interest in papaya tea to warrant the creation of a business. This enterprise would supply missionaries and travelers with a specified supply of papaya leaf tea bags to improve health outcomes while traveling abroad. Health is never a guarantee, but taking proven preventative measures is advisable. This business would itself be a mission to those producing the product. Creating life giving work to those who benefit from same. Please feel free to do your own research as there are many scientific studies which prove the efficacy of this approach. Then provide me with your feedback. I am looking for organisations and individuals who are wishing to support missions while doing same, or enjoying their travels – through using a proven, plant based approach to health care. No pricing strategy is currently in place. Thank you in advance for your feedback, as we move forward to better health outcomes. It is with great sadness that we hear the news from La Loche, Saskatchewan. The tragic loss of life and a life so scarred by inappropriate expression of pent up emotions. One new report indicated that this young man had been bullied at school and that he had spared those who had been nice to him. But why his teacher, who by all accounts was a very nice person? Please know that the ideas presented here are not the result of investigative research but rather general principles dealing with emotional issues. Everyone’s story is unique, while the emotional results may fall into categories. The way people express themselves varies widely. Anger is an emotion that many people experience. In many cases with justification. There are events in our lives which make us angry; those events may be large, small, real or exaggerated. The principle of blame and responsibility comes into play here. We can blame whomever we feel has wronged us, and act out of that. Or we can accept that wrong was done (which would, in many cases, be accurate) and take responsibility for feeling through our anger so we do not act out of it. 4 Causes of anger include 1. Anger can be a way to cover irrational guilt, which is guilt which we take on when we try to take responsibility for events that we have no control over. An example would be a failed parental relationship; 2. The inability to appropriately express or discharge anger as children leads to anger as adults; 3. learning at a young age that expressing anger was unacceptable to others and we may suffer punishment, rejection or the withdrawal of affection or approval if we express anger; and 4. children are not equipped to explain, defend, justify or document their feelings. When we ask them to do so, their right to their anger is diminished. We do not know which of these events was part of that gentleman’s young life, but we can be sure some were. Powerlessness may be an underlying emotion in the taking of life. Powerlessness is an ingredient in bullying and being a victim. As you can see by the list of causes, it is difficult to escape childhood without being affected – which may explain the prevalence of bullying in many life stations. Following are 25 Causes of feelings of powerlessness – 1. to have not experienced appropriate power, control and responsibility as a child; 2. when, as children, we are not respected as full human beings and our needs are not met; 3. physical, emotional and sexual abuse cause powerlessness, even witnessing these is emotionally abusive as it is an invasion of boundaries; 4. expecting perfection; 5. controlling everything a child does including thinking and believing; 6. verbal put downs, screaming, attacking and criticizing; 7. expecting our child to look after us emotionally; 8. indifference to our child’s well being; 9. discouraging independence; 10. demanding loyalty, appreciation and gratitude; 11. expecting our children to be responsible for things we are responsible for; 12. undermining; 13. threatening; 14.trivializing; 15. patronizing; 16. withholding; 17. using scare tactics; 18. denying our child’s feelings; 19. abusing things our child values, such as pets or possessions; 20. isolating our child; 21. harassing; 22. not protecting our child from those who harm them; 23. teasing; 24. scapegoating and 25. using punishment to control. Two Effects of being exposed to the causes include: 1. use of situational power to abuse, that is intimidate and dominate other people, which we commonly call bullying. People who do this have a poor sense of personal power; 2. children who feel powerless will struggle with adult relationships, either needing to feel power as a defense against old feelings of powerlessness and be dominating and controlling, or will feel like a victim and try to get the abuse to stop and get the love they are missing. As you can plainly see, there is great possibility that these played a part in the La Loche tragedy. The potential benefits of people accessing this information include the potential of being more empathetic when others act out by bullying. Also, the possibility exists of being able to speak intelligently into another persons life and/or heart to bring about positive change. Please consult other posts for more information on feeling through. The ideas shared here are credited to Janice Berger. They are recorded in her excellent book, Emotional Fitness, discovering our natural healing power. ISBN 0-13-018182-X. Getting together with family and friends is one of the big highlights at Christmas. It may also be a cause of stress! Having a few party icebreaker questions or a quiz can add fun to our time together. One such question I heard this past year was “What do you think have been the major human advancement over the course of history?” Great open ended question. Following are 20 questions, plus a bonus question on ancient Egypt. Hope its fun and enlightening! 2. What natural barrier girded the valley of the Nile, making it difficult to invade? Answer – the deserts. 5. What type of large scale projects tamed the Nile and promoted agriculture? Answer – irrigation made up of canals and dikes. 7. What stone, discovered by Napoleon’s men, allowed Champollion to decipher the hieroglyphics? Answer – the rosetta stone. 11. What king/pharaoh reigned 67 years, had 100 plus children and commissioned Egypt’s largest buildings? Answer Ramses the second, also called “The Great”. 14. How did deltas get their name? Answer – Their triangular shape resembled the Greek letter delta. 15. What did nilometers measure? Answer – The rise and fall of the Nile river. 16. Why was the rise and fall of the Nile river important? Answer – So the Pharaoh could predict the fortunes of the nation. Bonus question – Khuel’s pyramid, a 13 acres site, was leveled using a system of ditches filled with water. What is the discrepancy in measurement in the southeast corner? Answer – half an inch! Electricity in rural settings is a luxury many cannot afford. On a recent trip to Haiti I began the process of electricity production using water power – zero emissions power based on the water cycle! Following is the video of the water wheel. It sits on the head waters of a canal system which encourages agricultural production. In time this water wheel will have one or several 350 watt generator(s) attached. It will provide power to the orphanage, power a pump providing water to the garden and a telephone charging station – the latter essential to village life!! I planted many moringa trees in our established garden and cannot believe the growth rate of those trees. Check out this photo of one days growth (about 1.5 inches) after a 20 minute rain the night before. We use terracing and vetiver grass to hold rain water on the hillside – very good techniques!! Last time we explored 3 markers for considering health benefits and risks – clinical effect, side effect and lethal dose 50. We discovered that when using papaya leaf that the dosage level from one marker to the next is very large, making the possibility of negative results highly unlikely. In a lethal dose 50 study done by Makerere University in Kampala, Uganda, the lethal dose 50 test found that this plant is safe according to EU (European Union) and WHO (World Health Organisation) standards. Let us consider a concept called “poorification” which results when chemicals are isolated from their naturally occurring neighbours. The body is highly complex, to make a gross understatement. Many chemicals involved in healing receive synergistic effects from companion chemicals found in the plants from which they are derived. Therefore, poorification occurs when plant based chemicals are removed from plants and purified. How will we successfully minimize the negative economic effects of such diseases as malaria? Let us look at the numbers. In Uganda, where malaria is endemic, people get this life threatening disease twice annually on the average. With over 40 million people they have over 80 million cases of malaria annually!! Plants can provide millions of doses of medicine, per hectare! !, making this treatment option a workable solution. What about the drawbacks? I have been hard pressed to find any and would welcome any stories, anecdotal or otherwise, from you. I know that in countries where post mortems are not routine, that if a person tries a treatment then dies of a totally unrelated cause, that the treatment can be seen as the cause of death. This is a potential drawback. Often where money is a constraint, people will wait until they are almost dead to go to a clinic. Perhaps a week. Once at the clinic they frequently die as the disease was too far advanced to treat. With plant based options people can treat themselves at early onset, improving their chance of surviving, and thriving! Treatment time period is commonly 3 days. Thus the person can try two dosage levels in an attempt to get a clinical effect before they would normally go to the hospital. People must understand that symptoms which might indicate a particular disease may be something else and they need to remain open to the need to go to hospital or a clinic to seek treatment and or diagnosis. Please take some time to research such options and consider your ability to make positive change through being informed.